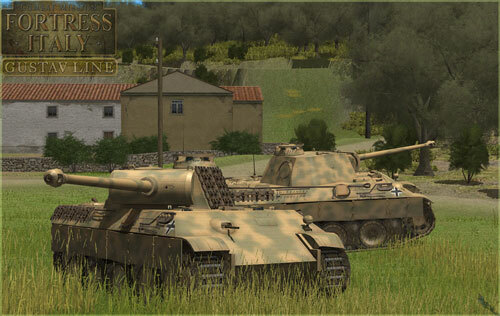 CMFI Gustav Line Module depicts the desperate battle for the Italian mainland, revolving around Salerno, Anzio, and Monte Cassino, and culminating in the capture of Rome on June 4, 1944. The Commonwealth side of Operation Husky in Sicily is also represented in stunning detail. All German and American forces are updated to reflect formational and equipment changes since the Sicilian campaign. Brand new formations and equipment cover the elite Fallschirmjäger and the combat formations of the United Kingdom, Canada, Poland, and New Zealand. 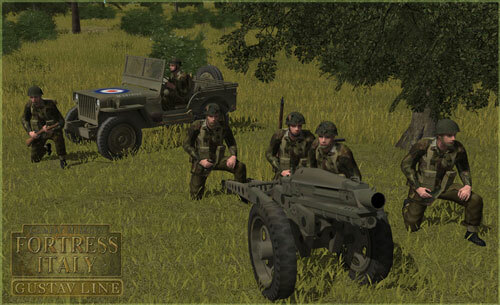 A licensed version of Combat Mission Fortress Italy Base Game is required for Gustav Line. It is recommended you have Game Engine 4 installed, however Gustav Line will work with Engine 3. No other Modules or Packs are required.